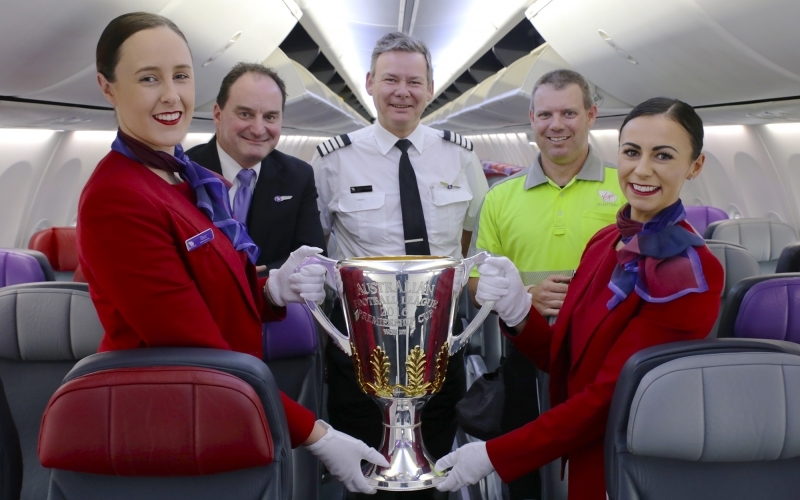 As the official airline of the AFL, Virgin Australia has gone into full-blown footy finals fever, announcing a number of initiatives which will run over the next three weeks culminating on Grand Final Day. The airline’s flight schedule from major Australian cities on AFL Grand Final Day has been rescheduled ensuring fans can soak up the action at the MCG and be home in time for supper. Flights to and from Melbourne from Adelaide, Brisbane, Canberra, Coolangatta, Darwin, Hobart, Launceston, Sydney and Perth have all been altered to accommodate same-day travel on 30 September. 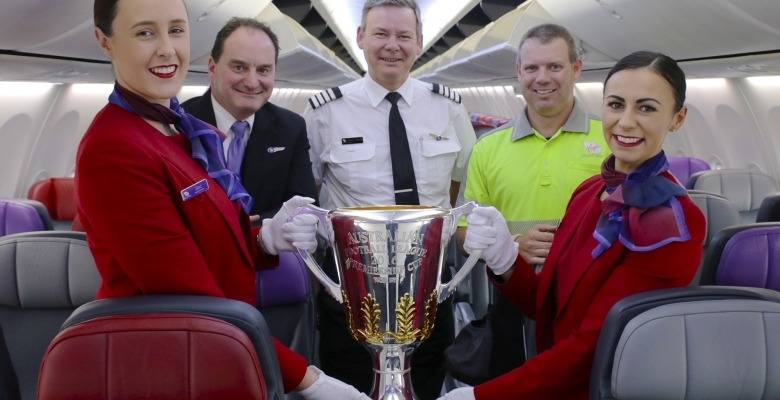 Virgin Australia has also increased the number of flights across Grand Final Week, ensuring more fans can travel and cheer their team on. 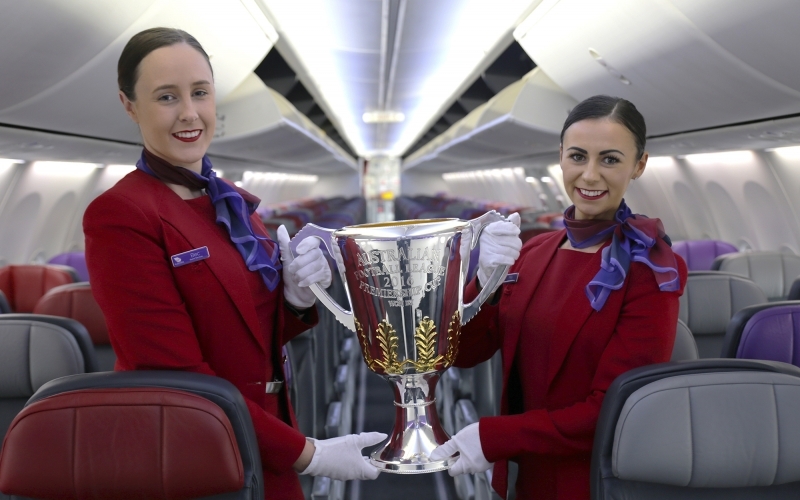 An extra 2,500 seats are already on sale across Grand Final Week, while an additional return Airbus A330 service has been scheduled between Adelaide and Melbourne on Grand Final Day. Virgin Australia will monitor demand over the Finals Series and will look for other opportunities to support fans with more flights. Virgin Australia Chief Marketing Officer Inese Kingsmill said: “The 2017 AFL Finals Series is upon us with the GWS Giants taking on Port Adelaide tonight, and we are so excited to support the teams and the fans throughout September. “We know how passionate AFL fans are so by retiming our flight schedule and adding seats throughout Grand Final Week, we can ensure as many supporters as possible can travel to Melbourne for the big day,” Ms Kingsmill said. Across the next three weeks, Virgin Australia Domestic Lounges in Adelaide, Melbourne, Sydney and Perth will also come alive with finals fever, serving Carlton Draught on tap and hot meat pies on a ‘Sherrin’ napkin to get lounge guests into the footy spirit. Anyone travelling through the Sydney, Melbourne and Perth Lounges is also eligible to enter the ultimate trip to the AFL Grand Final, with return flights, two nights’ accommodation at Crown Metropol, airport transfers, VIP tent access and reserved seating to watch the game up for grabs , thanks to Carlton United Breweries.